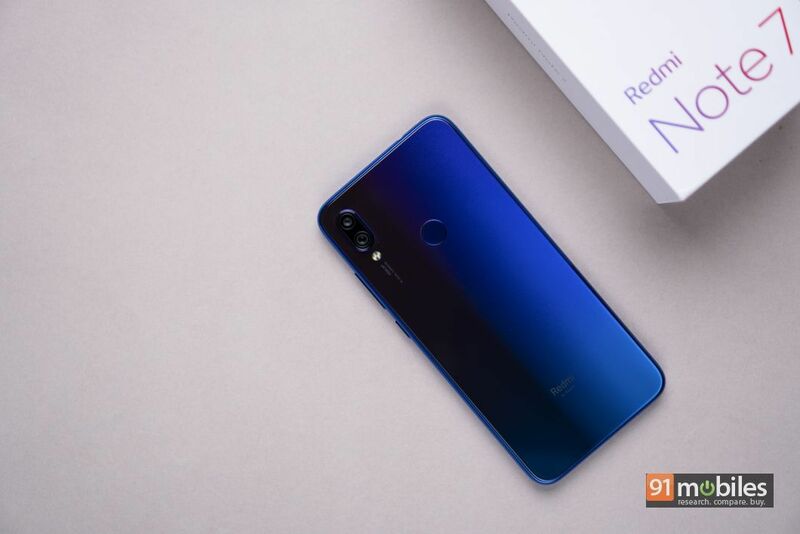 In a bid to offer users the most ‘bang for the buck’ smartphones, Xiaomi’s CEO Lei Jun recently announced that the company’s affordable devices will now be launched under the new Redmi sub-brand. 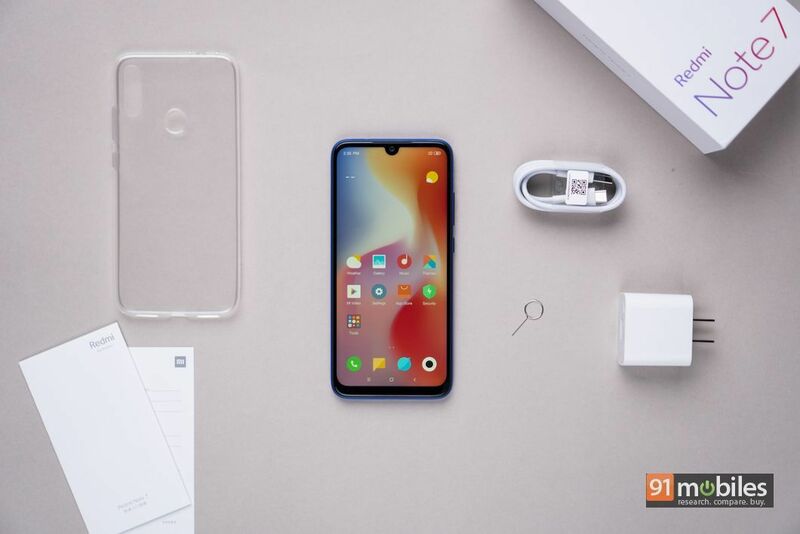 To commemorate the occasion, the company took the wraps off the power-packed Redmi Note 7 smartphone at an event in China on January 10th. 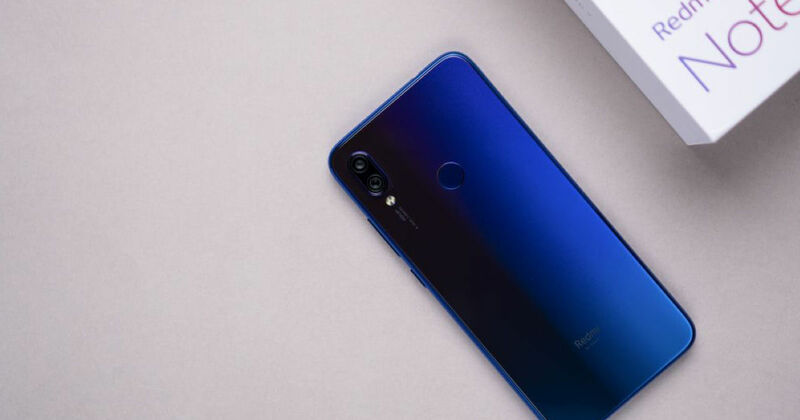 The debut offering from the new brand features a stunning design and a headline-grabbing 48MP camera. Like most of you, I along with several of my colleagues was eyeing the handset keenly too. So much so, instead of waiting for the device to launch in India, we decided to import a unit from China to see if the smartphone delivers on the hype. While the jury is still out on that, my initial impressions of the smartphone are extremely promising. Read on to know why. 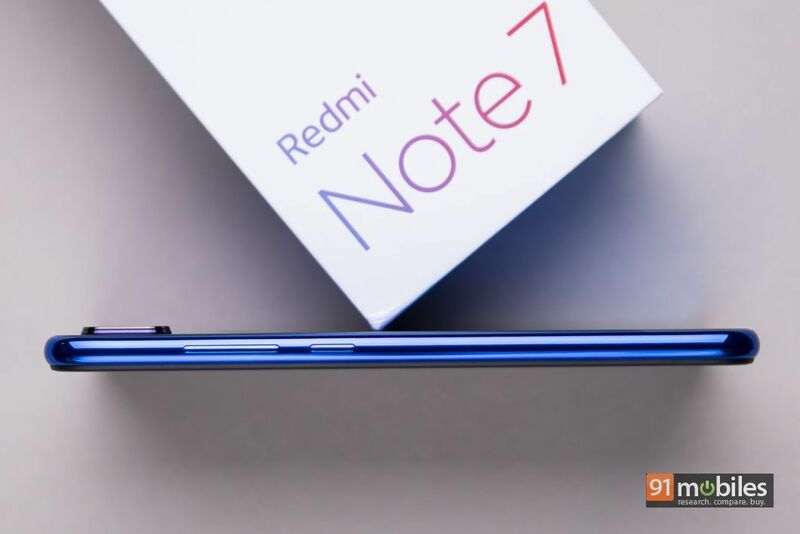 I know you’re dying to know about the smartphone’s 48MP camera, and I will address that later, but first I want to talk about the Redmi Note 7’s design. 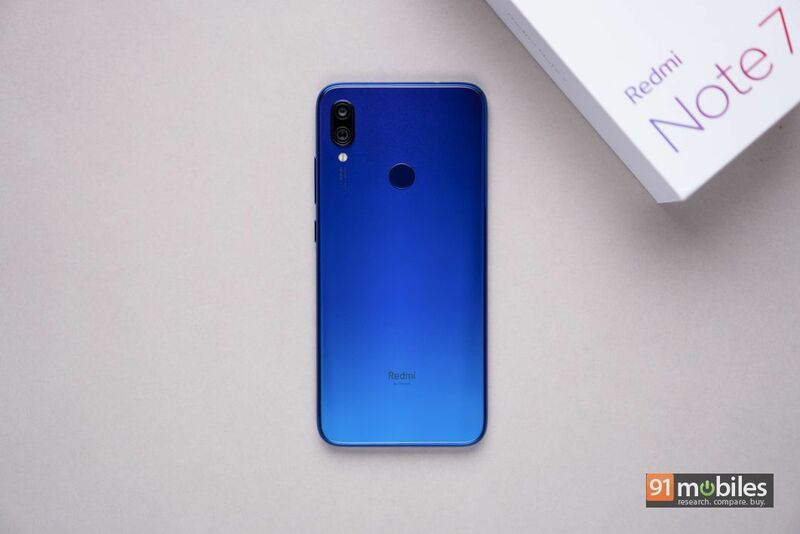 You see, my biggest critique for most, if not all, Redmi smartphones launched last year has been the fact that they sported boring, uninspiring designs. On the contrary, the Note 7 marks an exciting new chapter for the brand as it features a stunning gradient finish on top of a glass-sandwich design. To say that the smartphone looks and feels premium would honestly be an understatement. 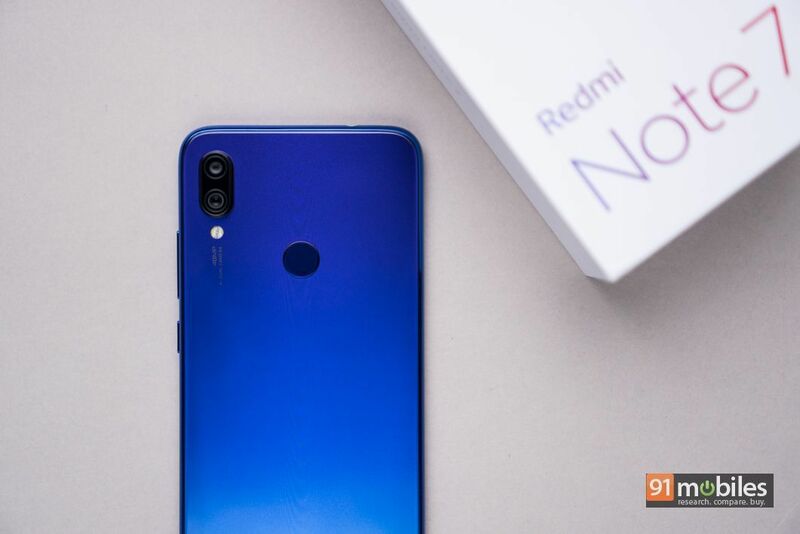 In fact, I can confidently say that the Redmi Note 7 is THE most gorgeous Redmi device to date, and its design can even give significantly pricier smartphones a run for their money. The finish looks exquisite and the smartphone’s curvy trim imparts a luxurious in-hand feel too. 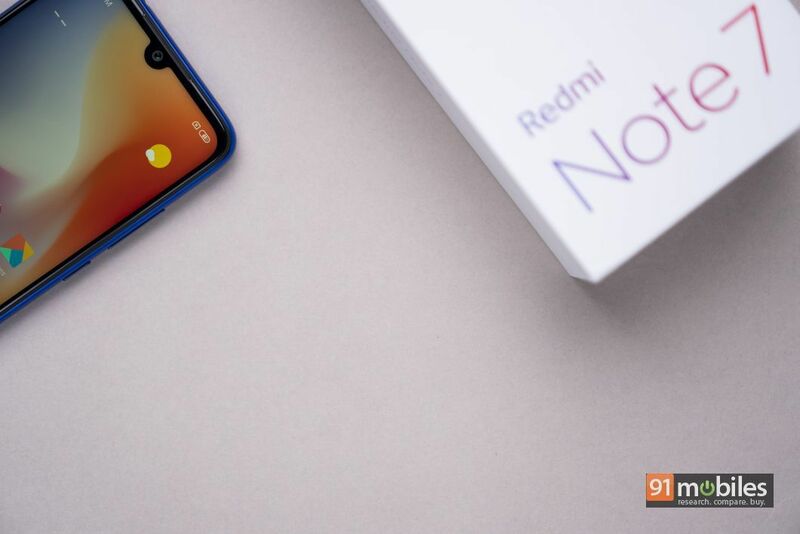 Honestly, I could talk for hours about how good the device looks, but to cut a long story short, the Redmi Note 7 features a mesmerising design. While the unit we got is in the blue hue, you can also choose to go for the gold and black options. Now, while I’m all praise for the phone’s design, it isn’t flawless. 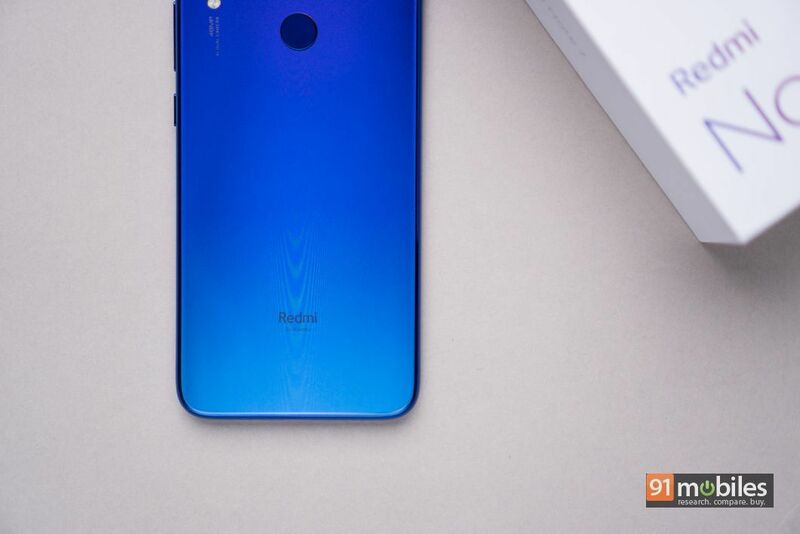 For starters, the Redmi Note 7 is extremely slippery and you’d be wise to slap a case on the smartphone the minute you get it out of the box. Moreover, I wasn’t a fan of the protruding camera bump, which makes it impossible to use the smartphone when it’s laid flat on a surface. And lest I forget, it’s advisable to operate it using both hands, as the device felt top-heavy during my initial stint. Minor inconveniences aside, Redmi has hit the nail on the head with the Note 7’s design, and the same goes for its display too. The handset packs in a 6.3-inch IPS LCD panel with an FHD+ resolution and a waterdrop notch, which FYI, is significantly less intrusive than a traditional notch. The panel exhibits vibrant colours, gets adequately bright and has wide viewing angles too. There is some minor backlit bleed towards the lower edges of the display, but that’s to be expected from an LCD panel, so no major complaints here. 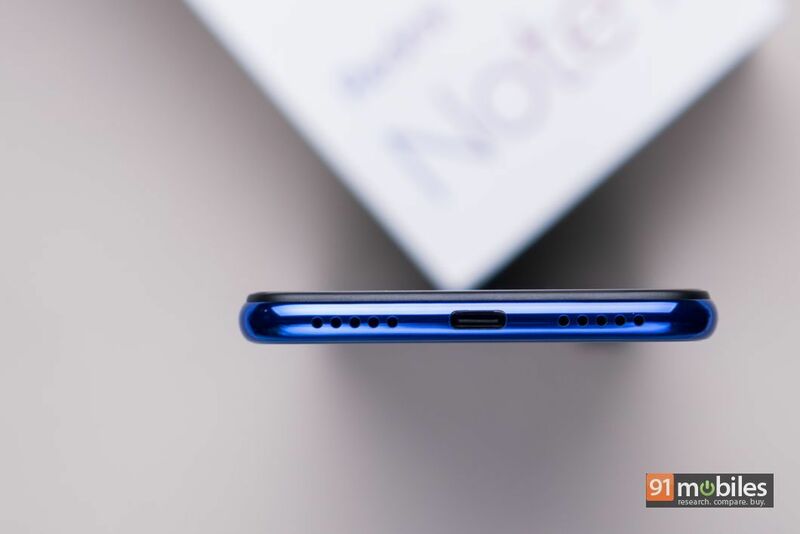 The buttons and I/O have been positioned in their usual spots and you’ll find the volume rocker and the power button located on the Note 7’s right spine. The left-hand side of the device houses the dual-SIM tray, whereas the top of the device is the home to a 3.5mm headphone socket and an IR blaster. Towards the bottom, the smartphone features a USB Type-C port for charging which is sandwiched between two speaker grills. 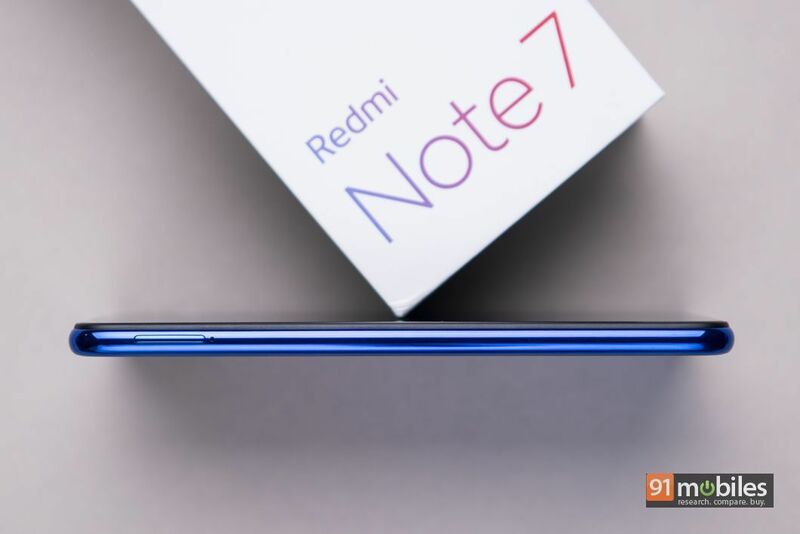 I’m glad Redmi has opted to furnish the Note 7 with a Type-C port and would like to see other upcoming devices in the category to follow in its footsteps too. 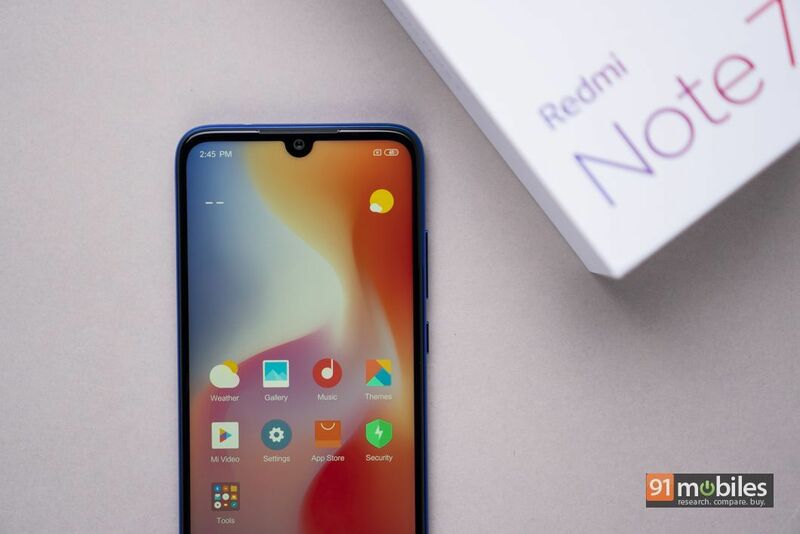 It’s noteworthy that as per Redmi, the ports and I/O feature a proactive sealant which should stave off tiny water droplets and dust particulates from seeping in. However, the handset isn’t waterproof by any stretch of the imagination, so you might want to think twice before taking it to the bathroom with you. Lastly, the handset features a fingerprint sensor towards the back, which worked flawlessly during my brief session. 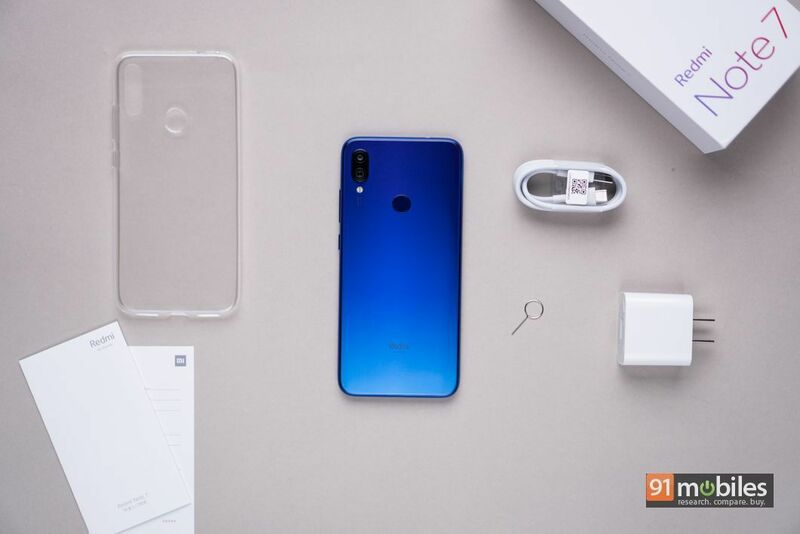 The company has also offering facial recognition support with the device, which works just as well. It even prohibits the smartphone to unlock if the user’s eyes are closed, which is great. 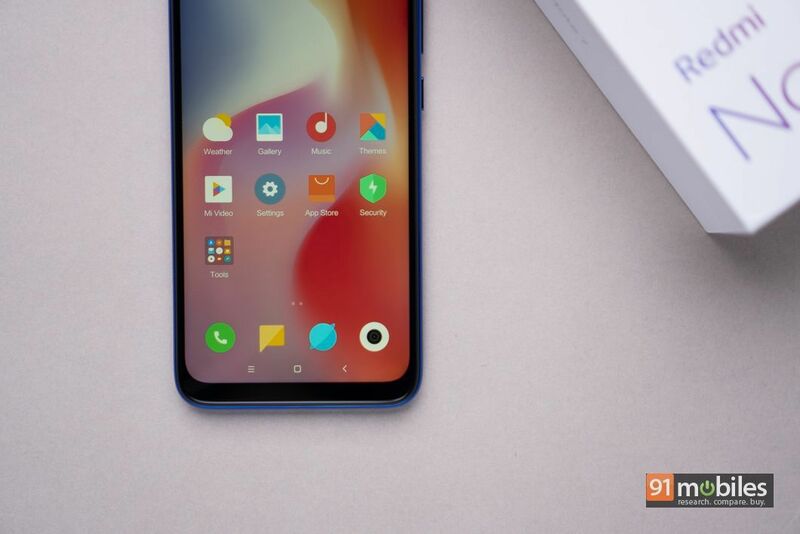 In terms of performance, the Redmi Note 7 is backed by Qualcomm’s Snapdragon 660 processor which works alongside 3GB of RAM and 32GB of built-in, user-expandable storage in the base model. The higher-end variants of the handset ships with 4GB and 6GB RAM, with 64GB expandable memory. It remains to be seen if the brand would be launching all three models in India or not. Regardless, I didn’t come across any major hiccups during my short time with the device. Preloaded apps opened swiftly, and the UI animations felt smooth and fluid as well. If you’re interested in getting a gauge on the smartphone’s gaming performance, then I’ll suggest you wait for our full review of the device, which should be up shortly. 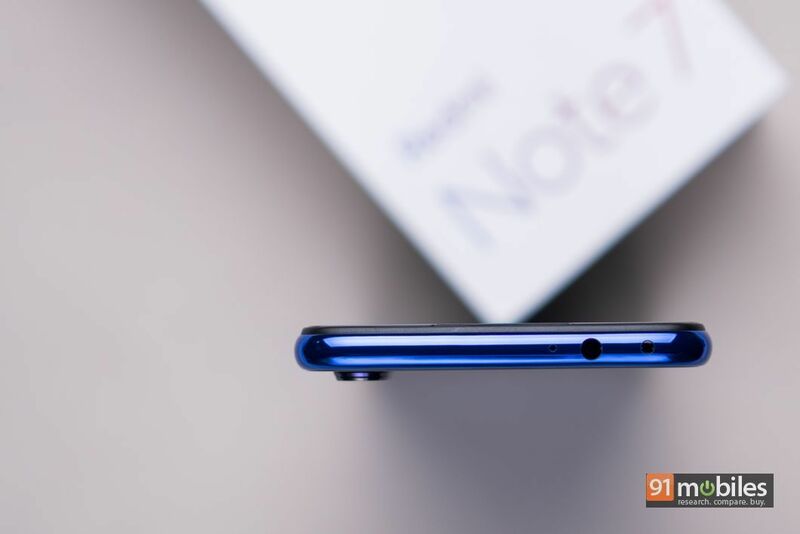 Else, you can also check out our review of the Xiaomi Mi A2 or Realme 2 Pro (review) to get an idea of the Note 7’s capabilities as the device features more or less the same specs. For software, the Note 7 runs Android Pie with a skin of MIUI v10 on top. Now, I will address the smartphone’s software features once we get our hands on an Indian retail unit. Until then, let’s skip to the handset’s USP, which is its 48MP camera. 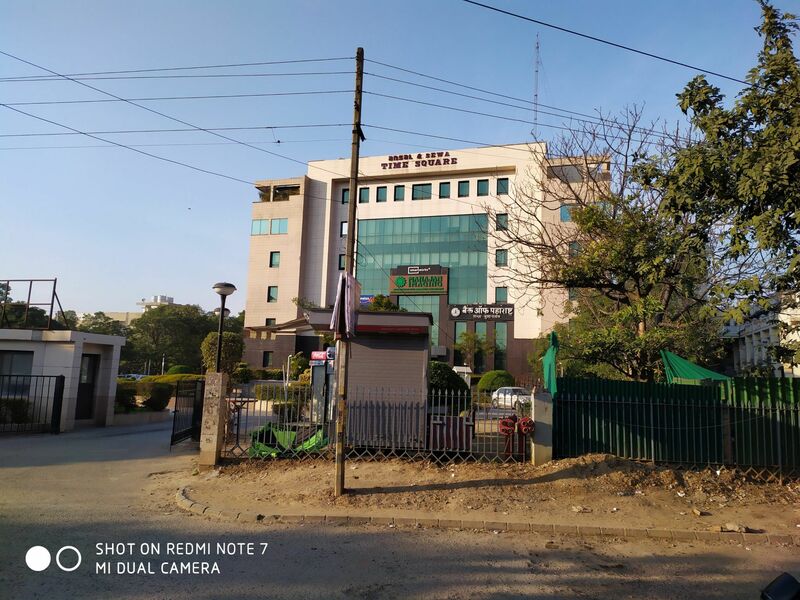 The Redmi Note 7 features a dual-camera setup towards the rear, comprising a pair of 48MP, f/1.8 aperture primary shooter and a 5MP, f/2.4 aperture depth sensor. For those curious, the company is not employing the Sony IMX 586 sensor which is present on Honor’s View 20 (review) and instead, is using a Samsung ISOCELL GM1 sensor. Now, for the most part, the device’s primary rear camera functions like a 12MP unit with 1.6μm pixels. 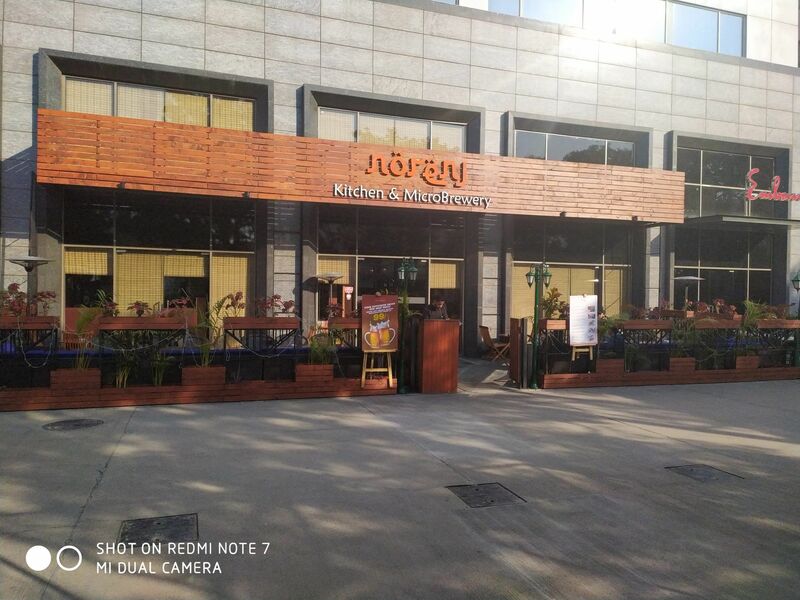 In fact, you’ll have to head over to the ‘Pro’ mode within the camera app to even click pictures with 48MP resolution. Much like the Honor View 20’s Sony sensor, the Samsung ISOCELL GM1 too makes use of a quad-Bayer filter to club four pixels together to produce a 12MP image with more details as it theoretically increases the surface area for light to impact on. However, provided you’ve got sufficient light, you can, in fact, click images in 48MP resolution. 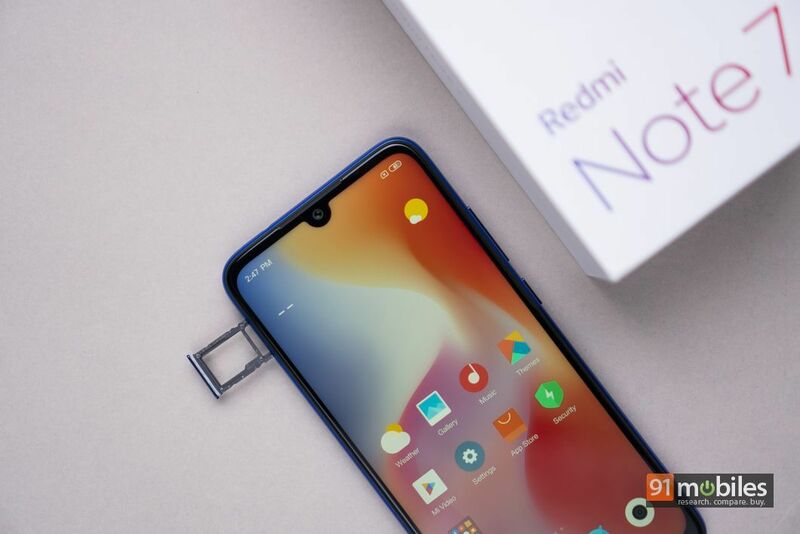 For selfies, the Redmi Note 7 ships with a 13MP front-camera which, akin to the rear-facing sensors, is also backed by AI smarts. As for the quality of the images, you’ll have to sit tight and wait for our review because we’re still testing the phone’s imaging prowess. That said, feel free to browse through a few shots we took with the device. 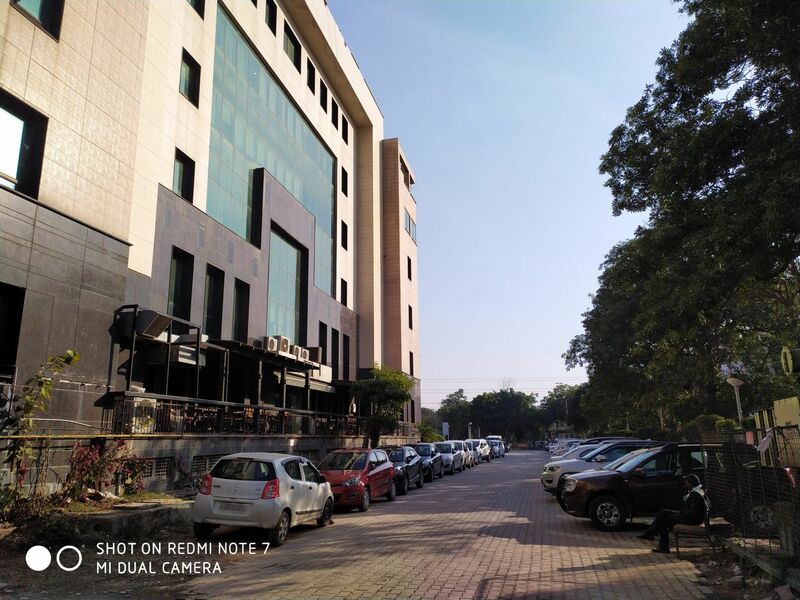 In the meantime, let us know what you think of the smartphone’s camera quality in the comments below. 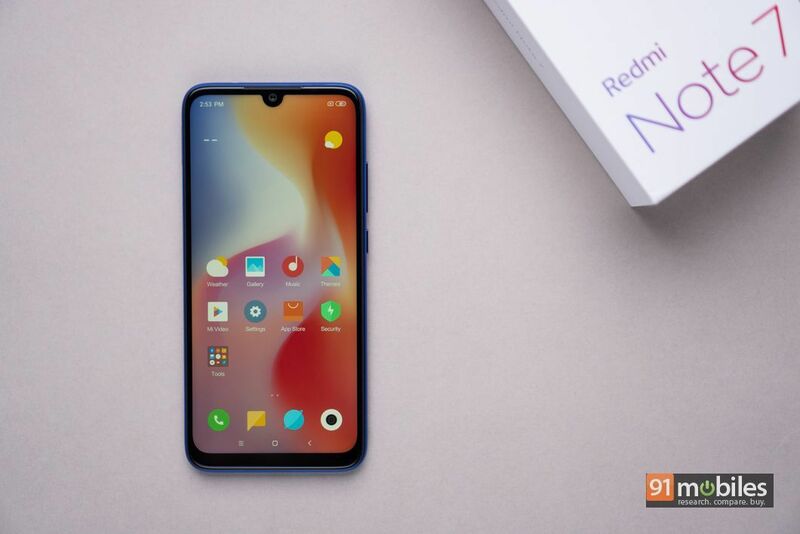 The Redmi Note 7 is fuelled by a 4,000mAh battery which supports Qualcomm’s Quick Charge 4.0 standard. Therefore, even if you manage to drain the smartphone in a day, you should be able to get it up and running in no time. 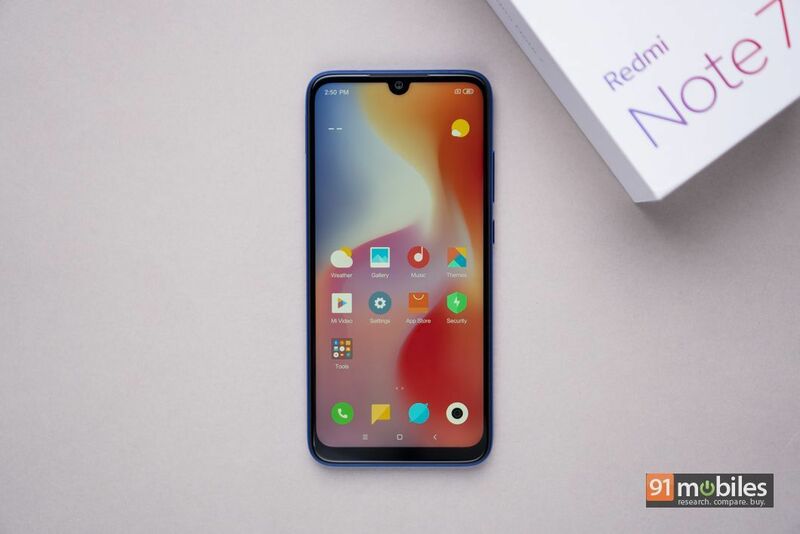 As for the pricing, the Redmi Note 7 starts at 999 Yuan, which translates roughly into Rs 11K. While the company is yet to release the handset’s official pricing in India, it should have the competitors worried if it’s even remotely close to the smartphone’s MRP in China. We’ll have more coverage around the device upon our blog shortly, so keep an eye out.